Are you thinking of spending a long weekend in The Netherlands, but you fear 3 days in The Netherlands won’t be enough? Well, no it won’t. That doesn’t mean you shouldn’t hop over, though. 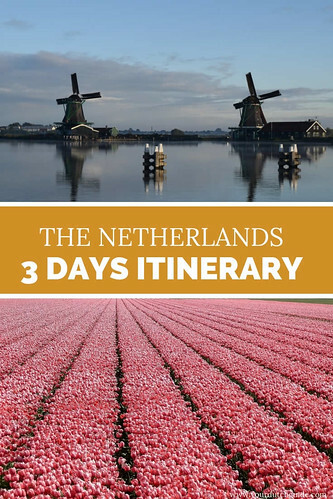 With my itinerary, you will be able to see the best of The Netherlands in 3 days. First of all: find yourself a decent flight to Amsterdam. Once you get to Amsterdam Airport, purchase an OV Chip Card. This card grants you access to all public transport in The Netherlands and can be charged as you go. Book yourself a fun and affordable hotel in Amsterdam. Personally, I like Lloyd Hotel and Citizen M very much. Check out my page Plan your trip for further nifty tips and tricks on Holland travel. Of course, it only makes sense to start your c in beautiful old Amsterdam. 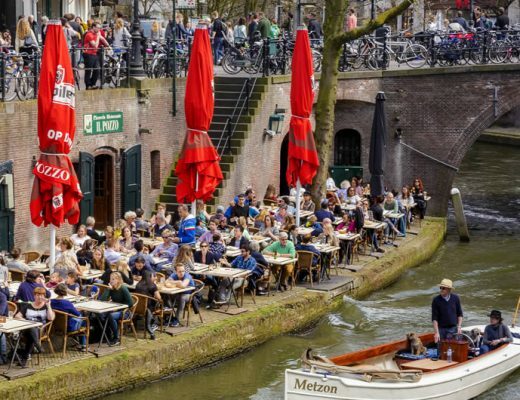 There is lots to see and do in the Dutch capital, but you’ll have to agree that the canals, lined with grand Golden Age mansions, the top museums of Europe and the Instagram-worthy views everywhere just speak to everyone’s imagination. Even I, as a Dutch person, can’t resist a day or two in Amsterdam every once in a while, there is just so much to see and do. But as you’re starting your 3 day trip in The Netherlands here, you might be a bit overwhelmed by what to see and do. There’s so much to chose from. I’ll help you out a little. One of the best ways to see Amsterdam is from the water’s perspective. If you take a one hour Canal Boat tour you will not only see the famous canals from up close, you will also get a bit of a feel for the city and take a look at the most beautiful mansions along the canals. After this, if you’re brave enough, join a bike tour to see the highlights of Amsterdam. There isn’t a thing that’s more Dutch than exploring Amsterdam on a bike (keeping in mind that we Dutchies are brutal on our bikes!). 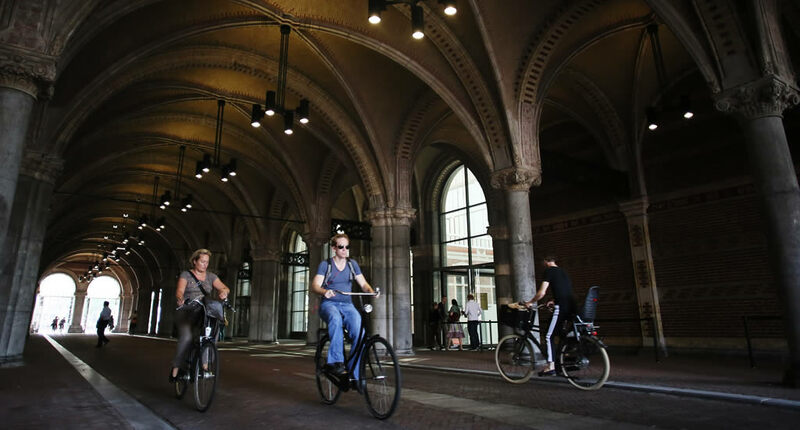 Having said that, this bike tour is pretty brilliant and the eccentricity of the city will really seep through when viewed from two wheels, and it takes you along famous sights as Rembrandt’s House, Westerkerk Church, Museum Square and The Red Light District. If you’d rather explore on our own, just grab a rental bike for the day. 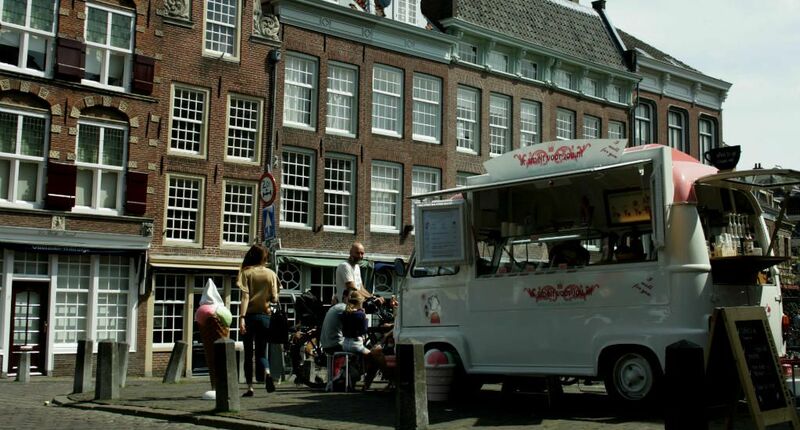 For lunch head to the most traditional Amsterdam neighbourhood: Jordaan. If it’s the weekend head to restaurant Moeders, dedicated completely to the most important person in our lives: our mothers. Vintage tiles and hundreds of photos from someone’s mum cover the wall. The menu offers traditional Dutch dishes with a modern twist served in mismatched vintage plates. If Moeders is closed, head to Noordermarkt for lunch or a grand piece of cake at Winkel 43. With so many Masters coming from The Netherlands, it only makes sense to spend the afternoon getting the know them a little better. Since the best museums of Amsterdam are large and have many, many floors to explore, I’d advise to only pick one, as to not get overwhelmed. Say hello to Mr. Rembrandt’s famous Night Watch, Vermeer’s Milk Maid and many more top works from the Dutch golden age. The Rijksmuseum was beautifully restored a couple of years ago and not only displays the most beautiful painting by famous Dutch masters but really offers a journey through Dutch art history. Don’t forget to check out the breathtakingly beautiful library. 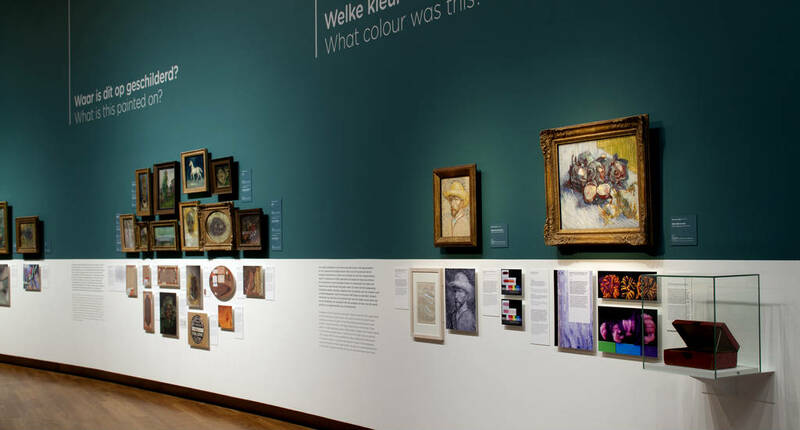 There is no better way to see how Van Gogh’s work captured his eccentric personality than visiting Van Gogh Museum in Amsterdam. If you’ve always wanted to see the famous Sunflowers, Almond Blossom or one of Van Gogh’s self-portraits: this is your change. Sadly, Anne Frank’s story is the most famous story from The Netherlands and one that should never be forgotten. I highly recommend visiting the former hiding place of the Frank family, which doesn’t only show the teensy living quarters hidden behind a bookcase, but also serves as a museum and open protest against genocide. For dinner head over to the central station, walk through the station to the other end and catch a free ferry to Buiksloterweg and walk to the cutting edge EYE cinema. 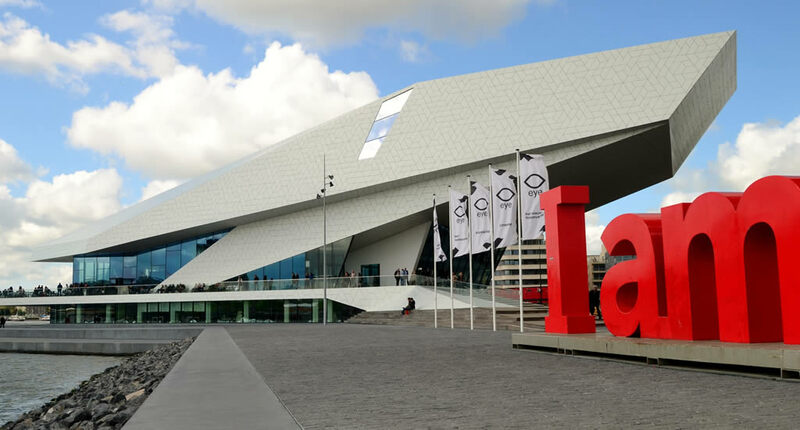 This cinema shows arthouse films, but also hosts exhibits as well as having a great restaurant that offers great food and equally fantastic views over Amsterdam. Escaping the sometimes daunting crowds in Amsterdam is easy: simply hop on one of the free ferries at the back of Amsterdam Central Station, as they will take you to Amsterdam Noord: the northern neighbourhoods of the city that are still a bit of a hidden gem. 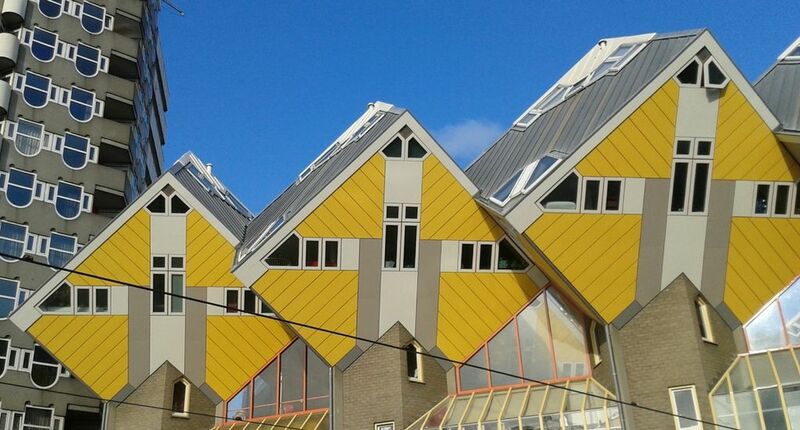 You can see oldfashioned Dutch houses at Buiksloterdijk or see some street art. Close to both Rijksmuseum and Van Gogh Museum is an old mansion turned museum: Moco Museum. It currently has 50 works by renowned graffiti artist Banksy on display, but you can also see paintings by Salvador Dalé and the pop art of Roy Lichtenstein. The Dutch countryside starts just outside Amsterdam and you’ll really only half a day to meet the real Holland. 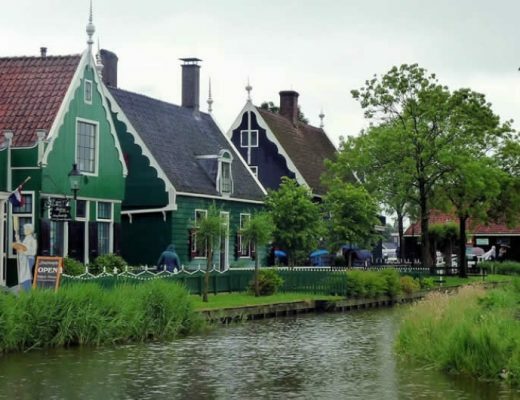 I highly recommend visiting one of these typically Dutch villages on your afternoon. Would you like to see some windmills on your half day trip from Amsterdam? Off to Zaanse Schans you go! 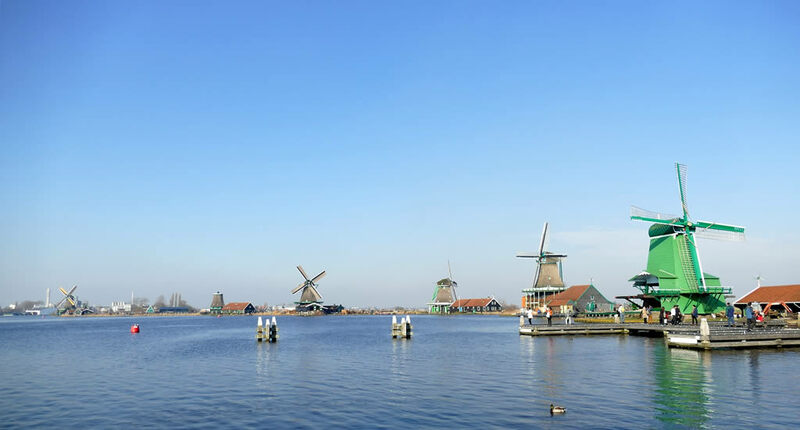 An impressive amount of original windmills are perched along the water, resulting in a picture perfect Dutch scene. Most windmills are open for visitors. Something less touristy and more authentic is Broek in Waterland, just a 15-minute bus trip from Amsterdam. 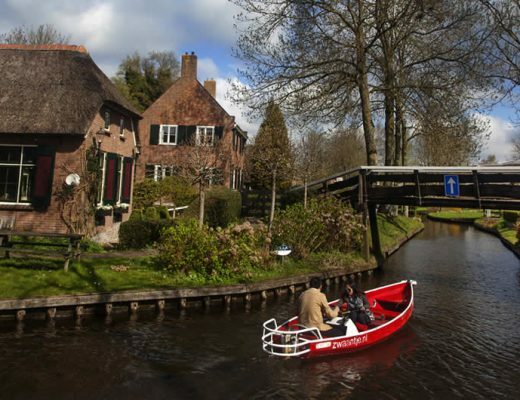 Typical Dutch wooden houses stand amongst the canals and inhabitants still prefer using boats over cars. Somehow Muiderslot is been marketed as ‘Amsterdam Castle’ for a few years. I absolutely disagree on this, as it would suggest the castle being part of Amsterdam. It isn’t. Muiderslot is part of the picturesque village of Muiden, which is a stone’s throw from Amsterdam. Muiden used to be part of the Dutch defence line, resulting in some massive historical fortresses with amazing views. 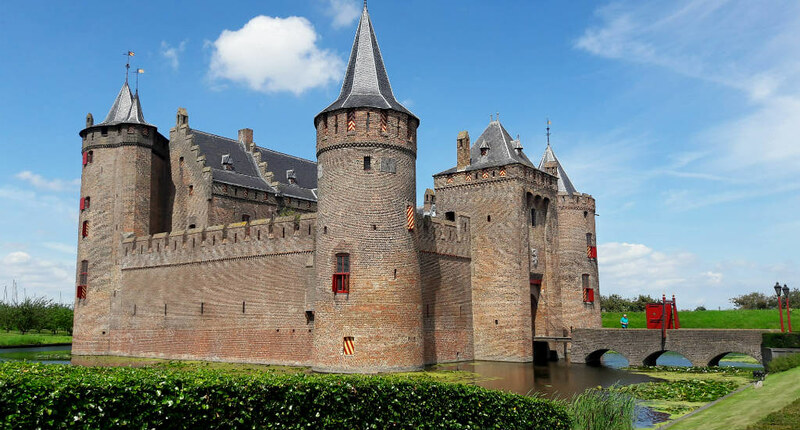 But the real highlight of Muiden is Muiderslot, the fortress castle dating back to the 13th century. How to get to Muiden and what to see? Read my article Day trip from Amsterdam: Muiden. If you’re a follower of my blog (and YAY to you if you are!) then you’ve heard me say time and time again that The Netherlands are just small and you can basically get anywhere (yes, seriously… anywhere!) in The Netherlands from Amsterdam within just hours on the train. So, there is no excuse not to venture out for a day and explore The Netherlands beyond Amsterdam for a bit. 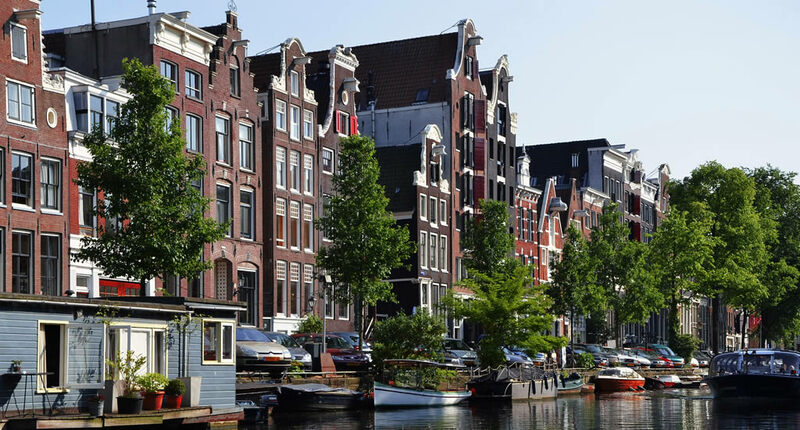 I am giving you a couple of options as of what to see and do (and how to get there from Amsterdam), so you’ll be able to make up your own mind and discover the best of The Netherlands. It doesn’t matter if you’re into architecture, art or food. 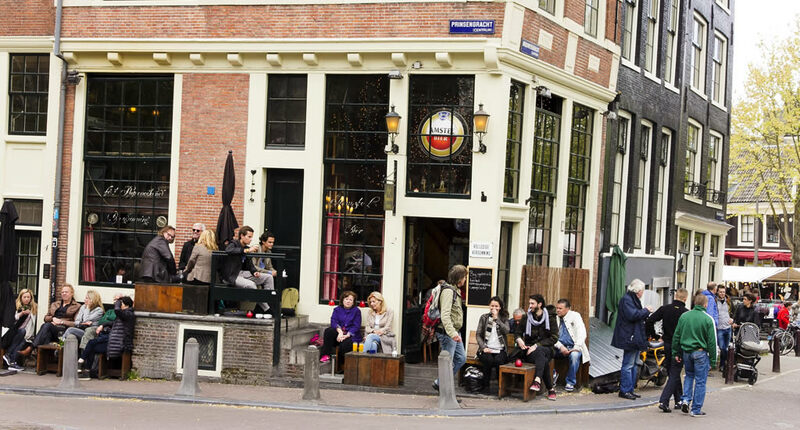 Holland has plenty to offer within stone’s throw from Amsterdam. Walking into the old city centre of Delft feels like walking into Johannes Vermeer’s paintings. 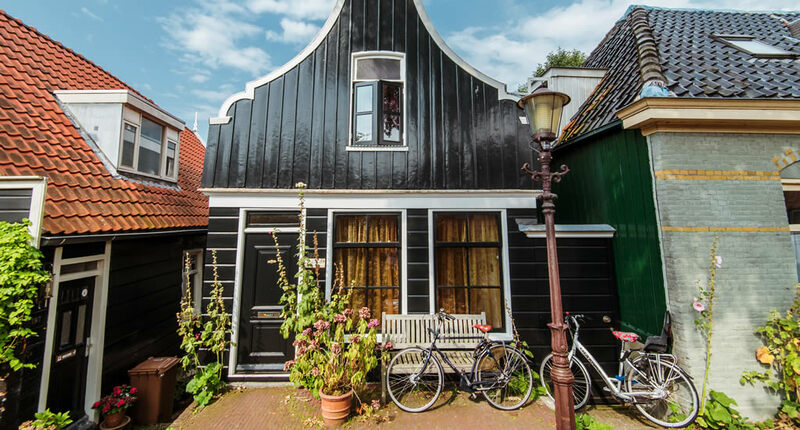 The cobbled streets, small canals, cute bridges and gabled houses are picture perfect, making Delft a perfect day trip from Amsterdam as it shows off Holland to its best. Found out why Delft is basically at the base of present-day Holland, visit one of the original factories producing the famous Delft Blue pottery and feel like you’re part of Vermeer’s View of Delft. How to get to Delft from Amsterdam? It takes less than 1 hour to get from Amsterdam to Delft by train. You either take a direct train from Amsterdam Schiphol or change trains at Leiden or The Hague. Check out the timetables. Modern and cutting edge Rotterdam makes for a fabulous contrast to the Golden Age architecture of Amsterdam. Rotterdam was severely bombed during the Second World War and rose from the ashes with cutting edge architecture and a no-nonsense attitude. Rotterdam is home to one of the largest ports in the world, fantastic museums, awesome street art and some of the best restaurants in The Netherlands. Rotterdam makes for a great day trip from Amsterdam. How to get to Rotterdam from Amsterdam? Direct trains from Amsterdam to Rotterdam leave every 15 minutes and it takes about an hour to get from Amsterdam to Rotterdam. Come and visit me on your day trip from Amsterdam! Well, my hometown Utrecht that is (though I’m always up for coffee). Utrecht is one of the oldest cities in The Netherlands and has everything a Dutch city should offer: winding canals, windmills (right at the edge of the city centre), ancient churches and amazing museums. Added to Utrecht’s charm is the fact that it’s home to one of the world most famous cartoon figures Miffy. How to get to Utrecht from Amsterdam? Travelling from Amsterdam to Utrecht is easy as it will only take 30 minutes on the train. Direct trains run every 15 minutes. Some of you may not even realise that Gouda cheese is from an actual city. It is, from Gouda and this gorgeous town is situated in the heart of the country and easily reached by train. 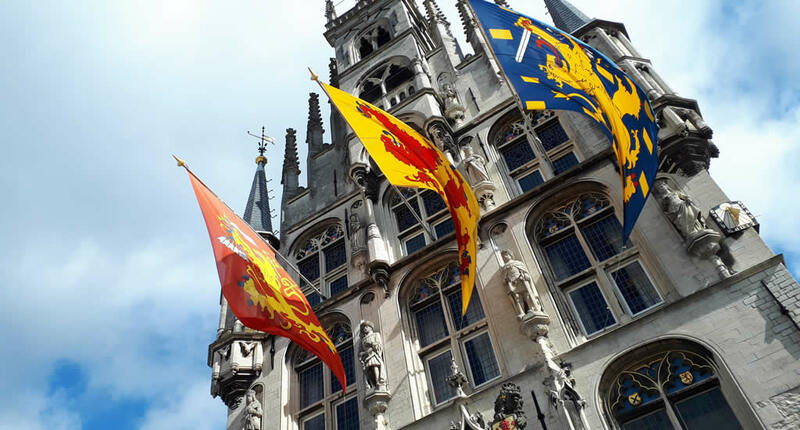 Gouda may be the Dutch capital of cheese, the attractions of the town, which include amazing Golden Age churches, canals and grand buildings are far from cheesy. I highly recommend discovering the traditional Dutch sights of Gouda. Every hour a direct train runs from Amsterdam to Gouda. It will take around 45 minutes to get to Gouda. Are you visiting The Netherlands somewhere between mid-March and mid-May? Yay, you’re in luck as this means: tulip field season! The fields of Holland look like the most beautiful colourful patchwork blanket when the fields of tulips and other flowers are in full bloom. 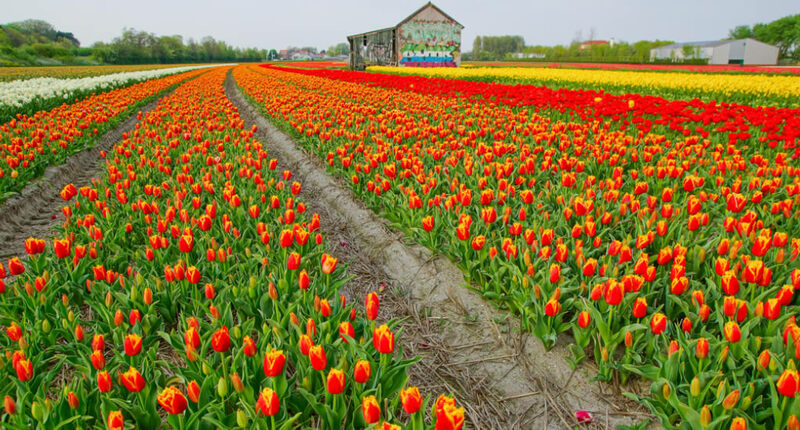 Take a day trip to Keukenhof to see the beautiful tulip displays or take a day trip to the tulip fields of Holland to take a gazillion colourful photos. 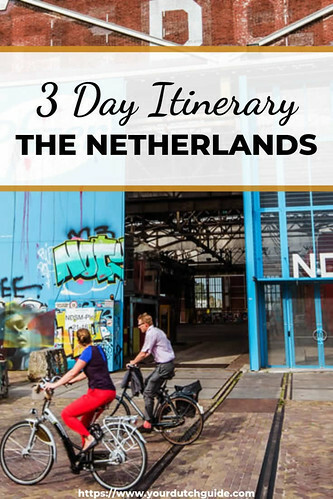 So tell me, what would you do if you had 3 days in The Netherlands and what would be your favourite day trip? What a great guide! We went to Amsterdam many years ago, we had friends living in the Hague right near the beach which is such a great spot. Anne Frank’s house was a highlight and I’m pleased we made it to Rotterdam but now I feel I need to go back and work my way through your entire itinerary! Oh but then I guess you’ve seen more of The Netherlands than most visitors, which is great. Yes, there’s always lots more to explore! Oh, the OV card is such a good idea!! I wish more places had that for travel everywhere. (Of course, I lost my 3 day transportation pass in Venice a few hours after buying it, sigh.) This is a great guide on how to see more than Amsterdam – the next time I see a cheap flight, I might just have to make a long weekend out of it! This is ideal bike-riding country — flat and so many windmills. I rode from Bruges to the Netherlands along a canal. I would love to return to Amsterdam sometime and ride around the Netherlands! A great itinerary! Such beautiful places to explore, even in only three days. Thanks for sharing. Amsterdam looks so lovely! It’s somewhere I’ve wanted to visit forever. Those little houses are adorable. It seems like such a vibrant, colorful place. I’ve also heard soooo many amazing things about The Netherlands. Definitely need to plan a visit! 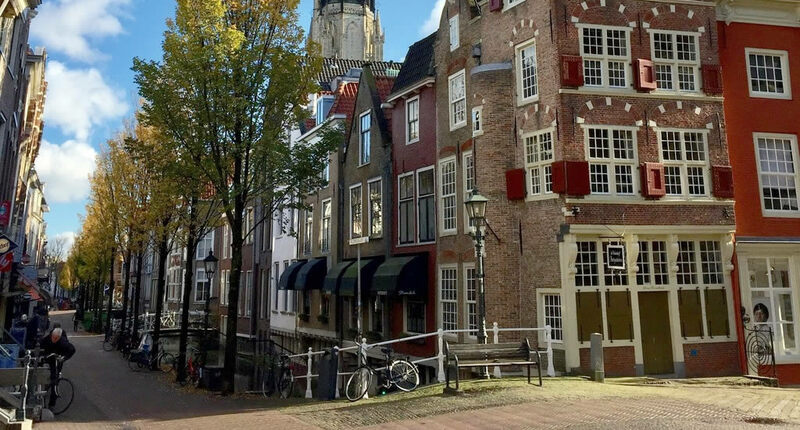 I agree, Delft is so cute and it played a key role in Dutch history, so I think it’s a must-visit! I would love to explore the Netherlands more beyond my one and only trip to Amsterdam a couple of years back. There are so many places I would love to see, but I think Delft, The Hague and Rotterdam would be high up on my trips list. I would love to visit some of the traditional villages and the windmills and tulips….YES PLEASE!! That’s a great plan Tilly! And you can visit The Hague, Rotterdam and Delft just by staying in either of them, as they’re so close together!